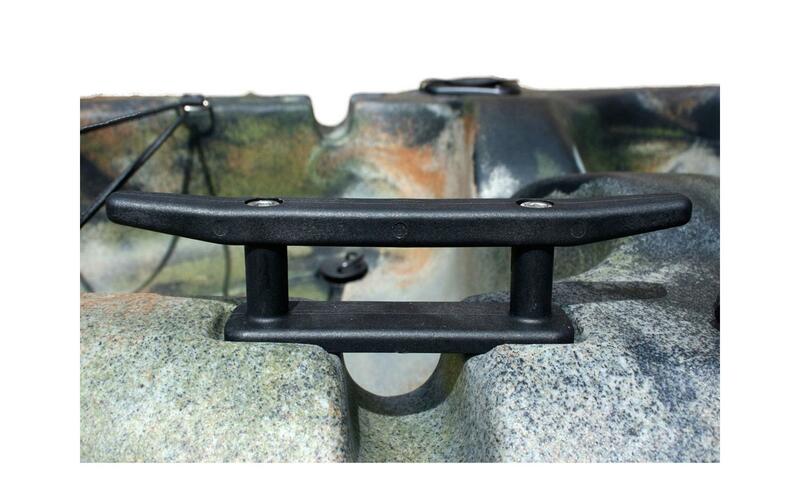 This kayak cleat is ideal for lots of uses including as a tie off point, an anchor support or to attach other items, like a buoy to your kayak. 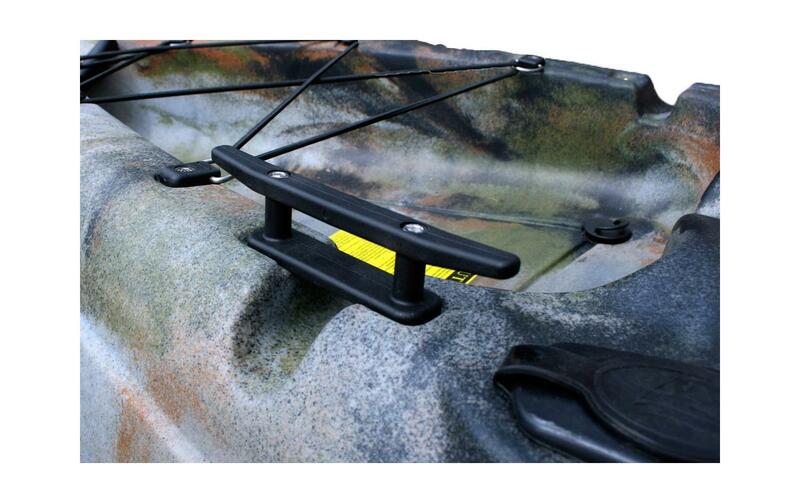 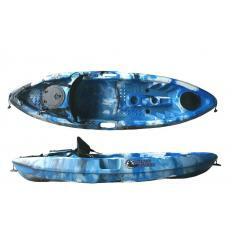 This hardened plastic support comes with two 45mm stainless steel Allen head bolts to attach it to your kayak. 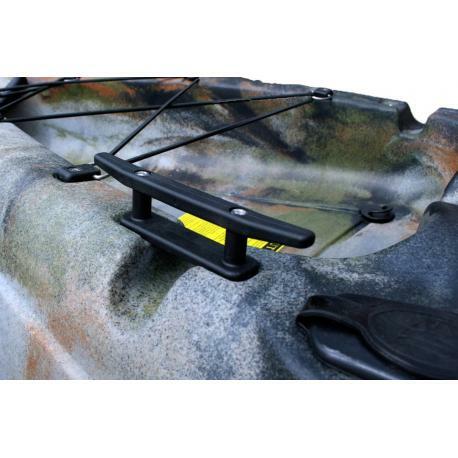 The cleats are designed to fit on top of the motor support fixtures and can be used with or without the motor support in place. 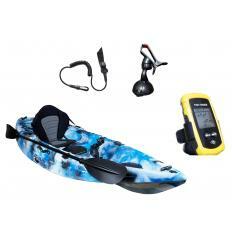 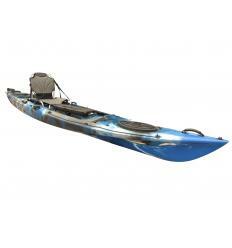 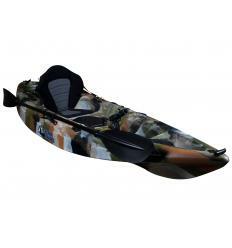 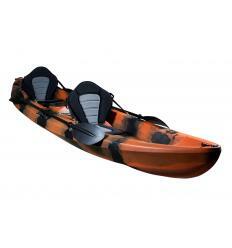 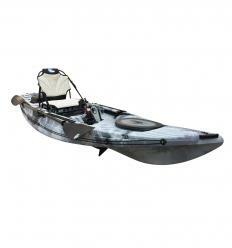 They can be purchased individually or as a pair but compatible kayaks come designed to hold one on either side of the hull. 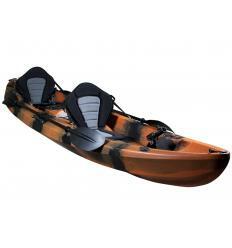 Fits the Cruz and Sturgeon models.